"I would like to be remembered as someone who accomplished useful deeds, and who was a kind and loving person. I would like to leave the memory of a human being with a correct attitude and who did her best to help others." 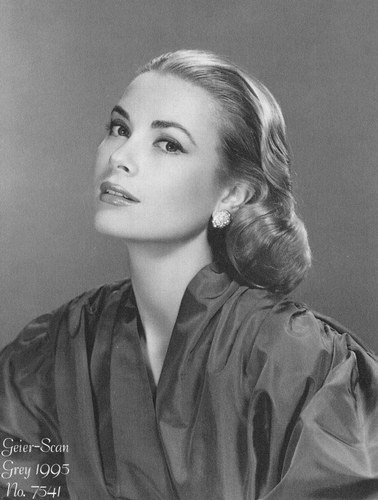 Many people my age know Grace Kelly for her iconic beauty, acting career or infamous royal wedding. Few know how intelligent, witty and articulate she was. Grace passed away a few years before I was born but I recently watched the last interview she gave (two months prior to her untimely death) to Pierre Salinger. She wasn't in her prime physically speaking but nevertheless she was still beautiful. What surprised me most was how mesmerized I was by her demeanor, voice and intellect. It was evident that she was a very interesting person with a unique perspective on the world. I appreciate people who are true individuals. Grace Kelly was this.